First impressions count, especially in business. Whether it’s a client meeting your team for the first time, a customer getting in touch with your customer service centre or even a visit to your website, the first impression colours every following interaction. This is why a bad first impression can be almost impossible to fix. Think of your reception area as your company’s first impression on a lot of people such as clients, prospective employees and investors. 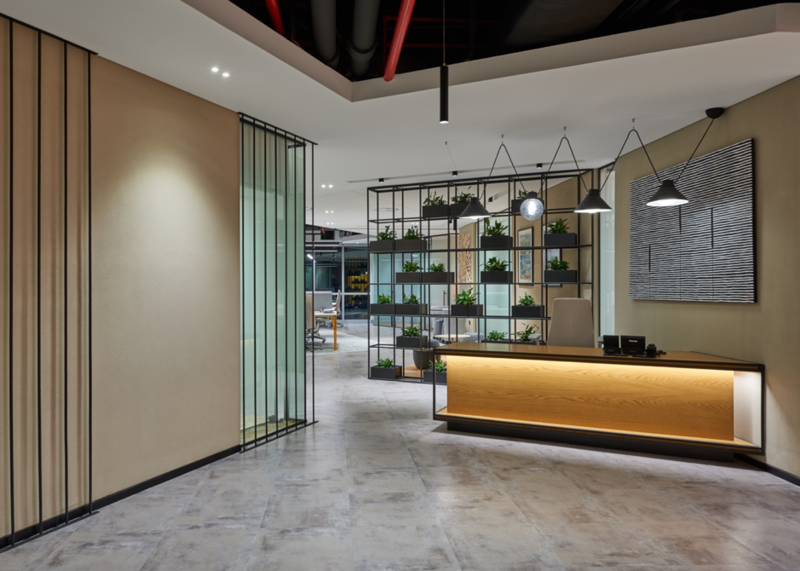 It is vital that your office reception area be designed in a way that reflects who you are as a business and ensures that your visitors see you in that light. Your reception is both the first place visitors see and the place that has the highest footfall in your office. As such, selecting durable and long lasting materials and finishes is key to ensuring that your reception looks impeccable and is easy to maintain. 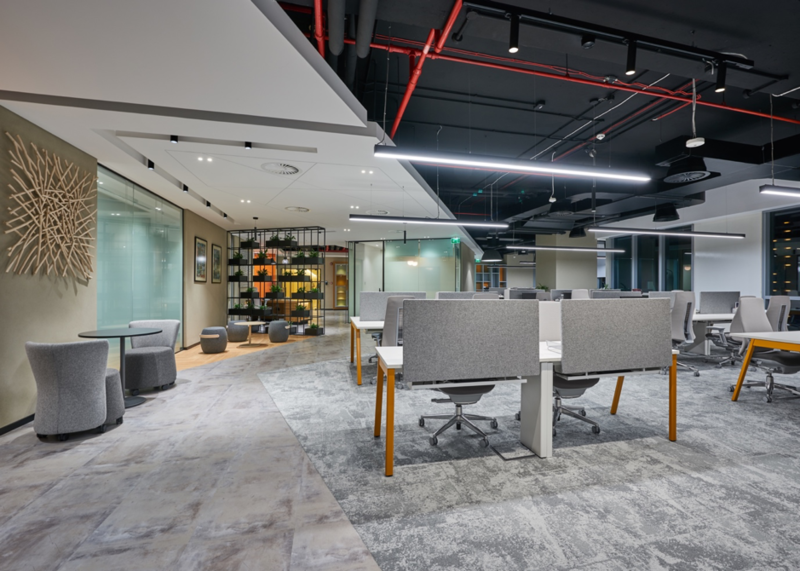 Materials such as wool or nylon low pile carpets are ideal for flooring in high traffic areas and materials such as laminates or vinyl surfacing can provide a clean looking environment that is easy to clean in case of spillages. 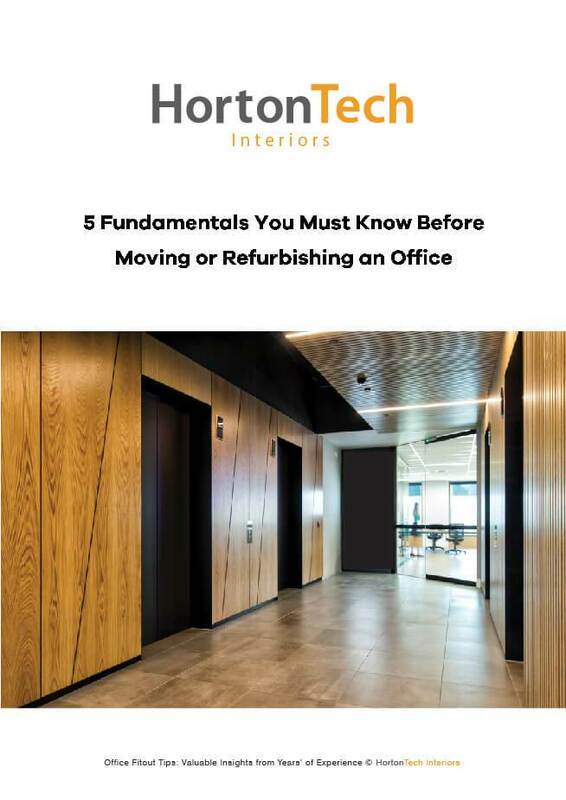 In addition, both materials are easy to replace when you’re doing an office fit out saving you time and effort. 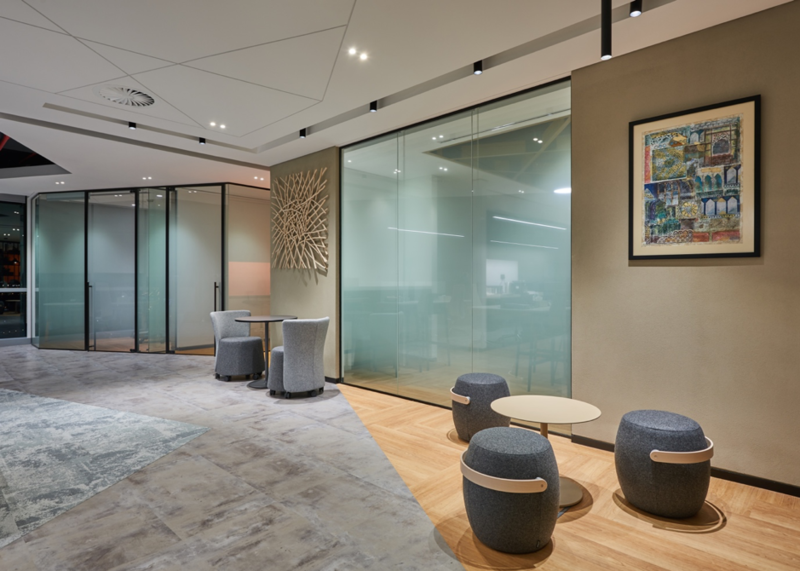 An often overlooked side function of offices receptions is their ability to act as impromptu meeting spaces, be it amongst your staff, or with new clients or vendors. It’s often worth going the extra mile to add some additional space and seating to allow your reception area to host small meetings without obstructing the flow of traffic. Besides giving it an air of liveliness it also helps clients and visitors relax in a more casual setting rather than be on guard as they would be in a formal meeting room. 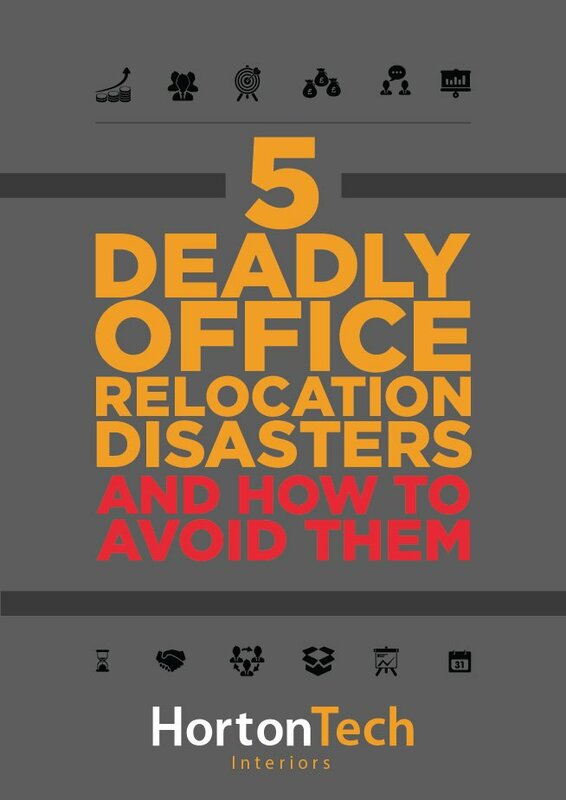 In addition to the proper layout, lighting and flooring, the right office furniture pays a critical role in the design of your reception area. Choosing the right furniture makes a big impact in the minds of your visitors. Your reception desk needs to be the focal point of your reception. With the right lighting, design and colour, it can be a stylish statement about your company and your brand. Seating is also important; ideally it should be of high quality and comfortable. A mix of single and double seating also helps in facilitating casual meetings. There is no better place to showcase your business’s brand identity than your reception. Your office reception should embody the best of your organization and serve as an introduction to your clients as to the story of your company. Whatever your core values, be it openness, transparency, innovation or creativity, your reception should be designed to showcase that. Adding the company logo and choosing a colour scheme that complements it helps build a strong visual identity that sticks in the mind of your guests. Looking to redesign your office reception area? Want to create a visual representation of your brand to “Wow!” visitors and employees alike? Our experienced team at HortonTech Interiors can help! 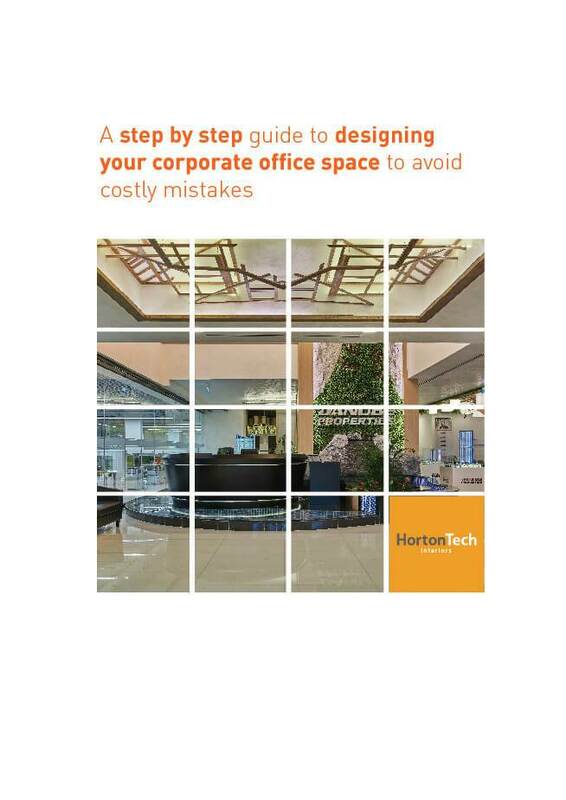 Call us on +971 55 796 0547/+971 43 881 163 or send us an email at info@hortontech.com and we’ll be in touch.